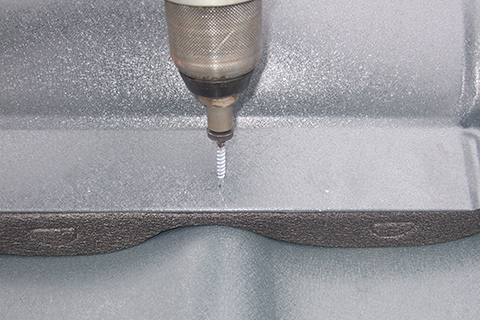 Why can’t I use a grinding machine or circular saw to cut the sheets ? 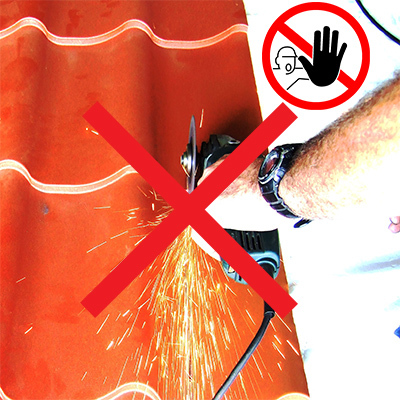 NEVER use grinding machines (‘circular saws’) or any device that may damage the surfaces. Treat the cut out parts and retouch using suitable products. 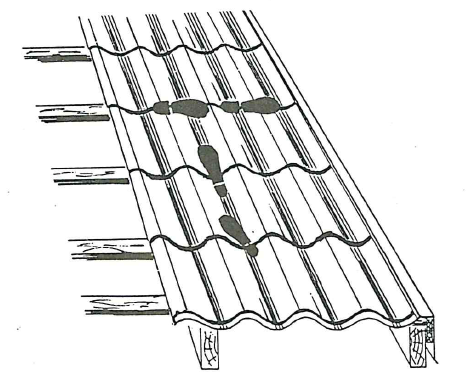 Will a metal roof be noisy on my home when it’s raining ? 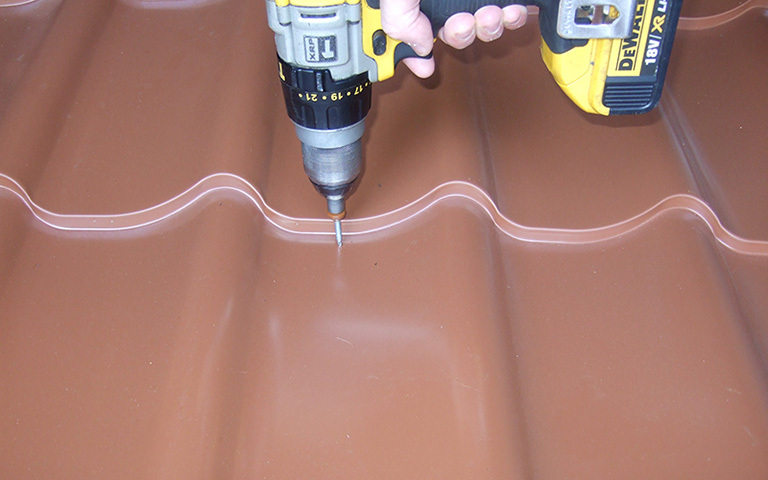 Metal-covered roofs are not necessarily noticeably noisier than other roof covering types - depending on the choice of type of metal roofing, underlayment and roof insulation method. Does my roof absolutely need an underlayment and battens ? 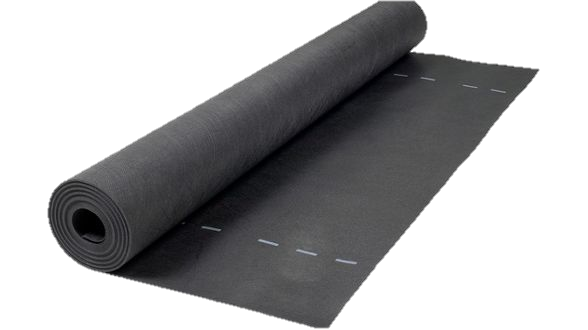 The simple answer is yes, your roof does need an underlayment. 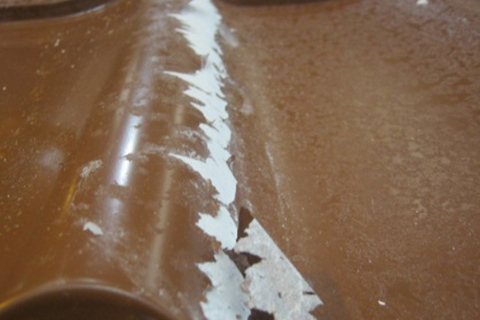 A benefit of metal roofing over other materials is that metal doesn’t absorb moisture. Thus when you put on a metal roof, you need to create enough space between the deck and metal panels to allow airflow to remove the moisture. 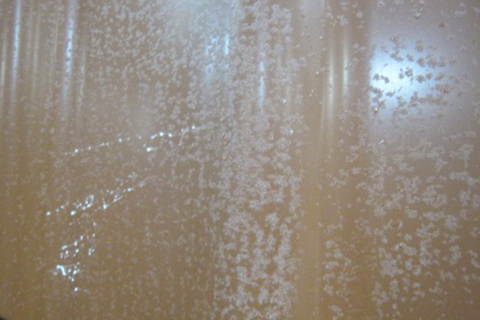 Preventing condensation MUST be achieved with the use of an appropriate underlayment. Do I need longer screws to fasten the crest tile ? 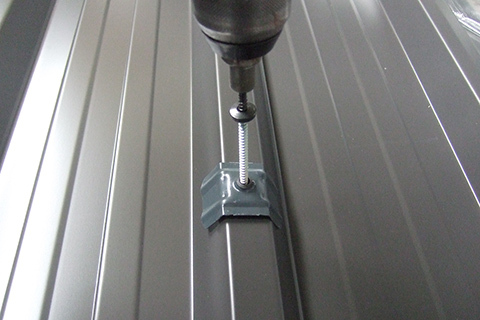 Longer screws are available for fixing corrugated sheets on upper part with ‘saddle’ washer only. What is the difference between Bricotuil and EconoRobs ? EconoRobs panels are available in a wider range of colours/coatings and custom cut to length per piece up to 8m long, while Bricotuil panels are a DIY stock product, available immediately nationwide from any of our retailing partners. 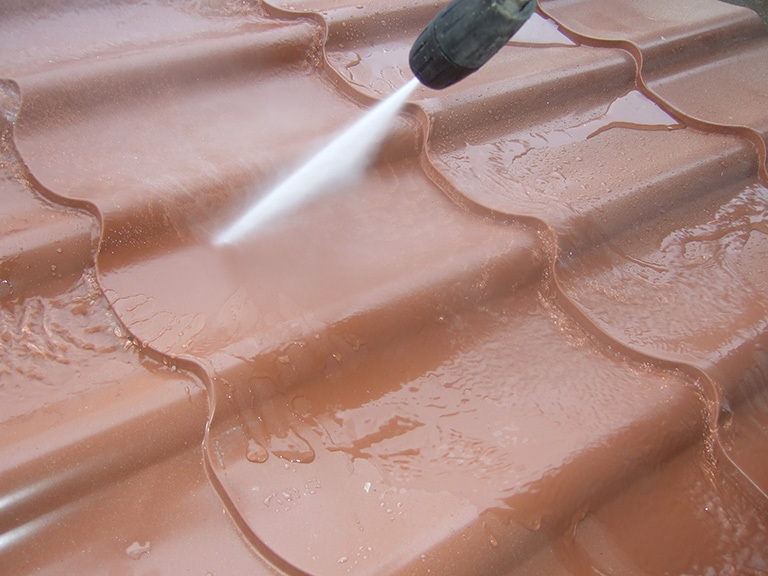 Can I pressure wash a steel roof ? Dirt that occurs with time may be cleaned off with a soft sponge using suitable non-aggressive detergents. This is called white rust. Reasonable precautions to protect steel during both transport and storage can considerably reduce the risk. 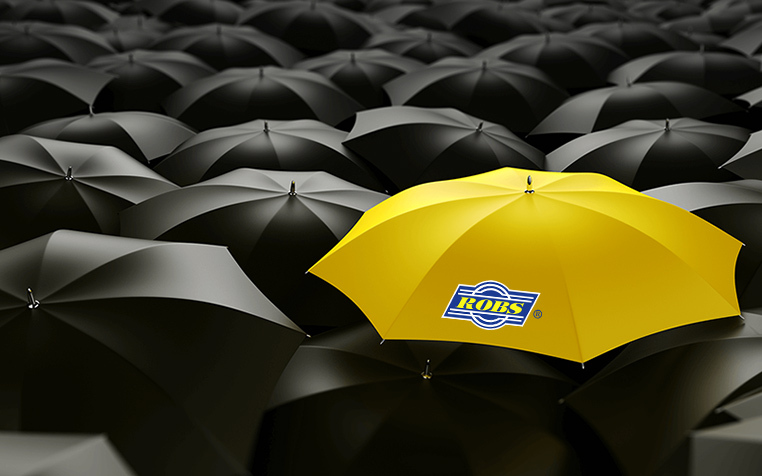 If you donnot use our products immediately, storage must be indoors, preferably in a clean, dry area. 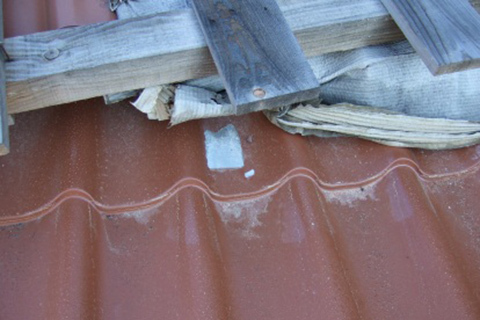 Since rapid changes in temperature may cause condensation leading to white rust, storage should be at an even temperature above the dew point. It is of utmost importance to ensure proper ventilation and to use separators where necessary. 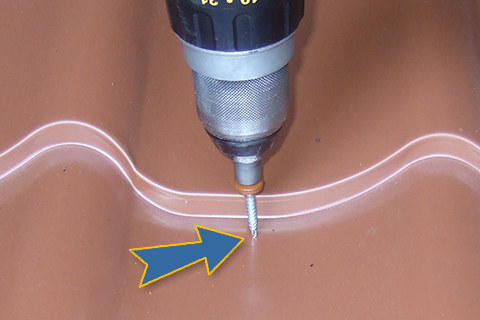 Is it normal to place a screw in the lower part of the profile in some of your roof applications ? Yes. 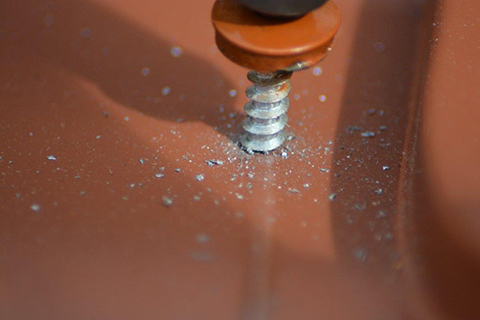 You are talking of our ‘tile effect’ products, which fixings should always be done at the bottom of the waves (Bricotuil, EconoRobs and Big Robs). The metal dilatation on those products is different because of the many tile pressings which considerably limit the linear expansion, allowing to use screws (with aluminium EPDM bonded washer) at the lower point, which offers high extraction resistance. What is the warranty for the profiles ? Would a metal roof be too heavy for certain types of homes, or for smaller structures like a garage or garden shelter ? 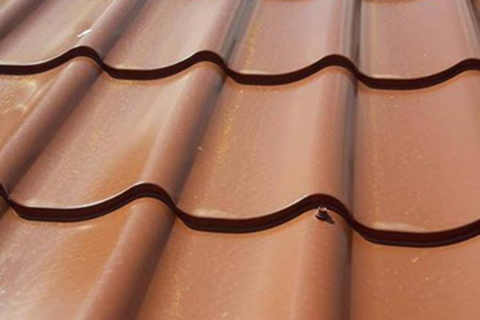 You'll be surprised to learn that a metal roof is on average 50% lighter than an asphalt shingle roof, and 75% lighter than concrete tile and slate. With metal roofing, weight on a structure is not really an issue. After a few days of installation and first rain I noticed some small rust stains on my roof, what is the reason ? 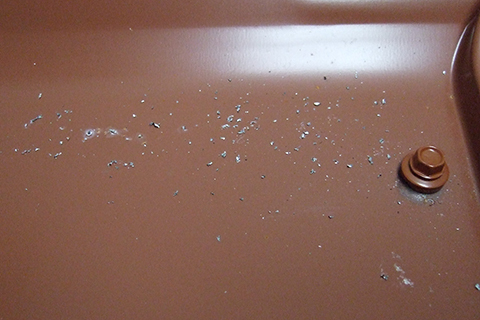 These are caused by metal residues of swarf, shavings, drilling etc… They should have been removed immediately using a fine brush but still can be cleaned off ASAP using suitable non aggressive detergents. What is the minimum slope for your tile sheets ? 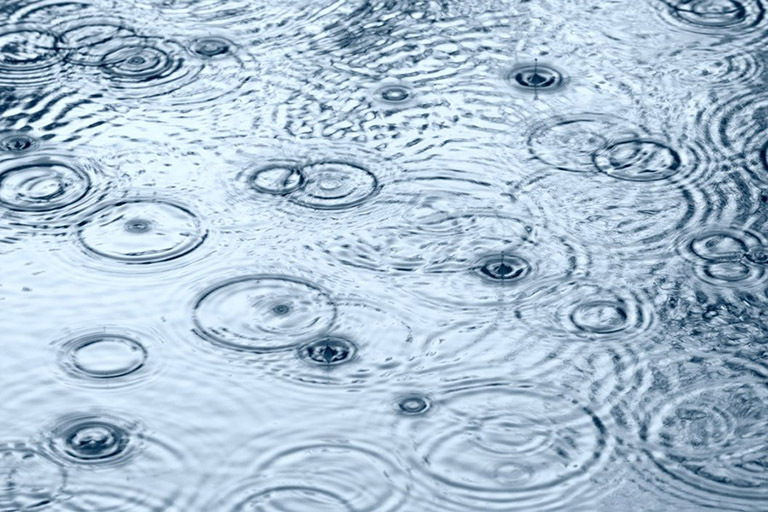 The absolute minimum is 9% to fully drain the rain water from the roof. Is it possible to walk on tile panels ? Yes, but always carefully walk on the troughs and base of the waves. What size of drill bit to use ? 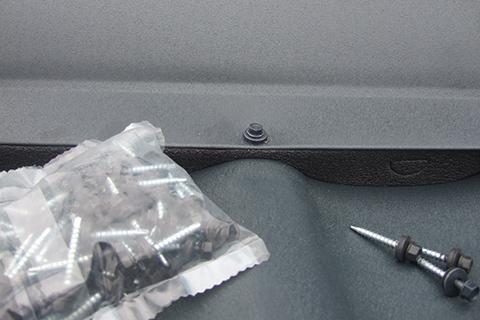 The screws are self-tapping therefore no drilling is necessary. Swarfs or filings resulting from their use must be eliminated straight away with a soft brush. The same applies for cutting wastage.